John Woolf O’Connor is considered by many to be America’s all-time greatest outdoor writer. Born 22 January 1902 in Arizona, he started hunting at an early age. JOC started his writing career during the Depression, and in 1937 he began writing exclusively for Outdoor Life magazine. After JOC retired from Outdoor Life in the early 1970s, he became restless, and it wasn’t long before he was back in the magazine game. This time he started writing a monthly piece for the newly formed Petersen Hunting magazine, an occupation he continued until his death in 1978. JOC’s material was always interesting, lively, and full of all sorts of bits and pieces that his readers loved. 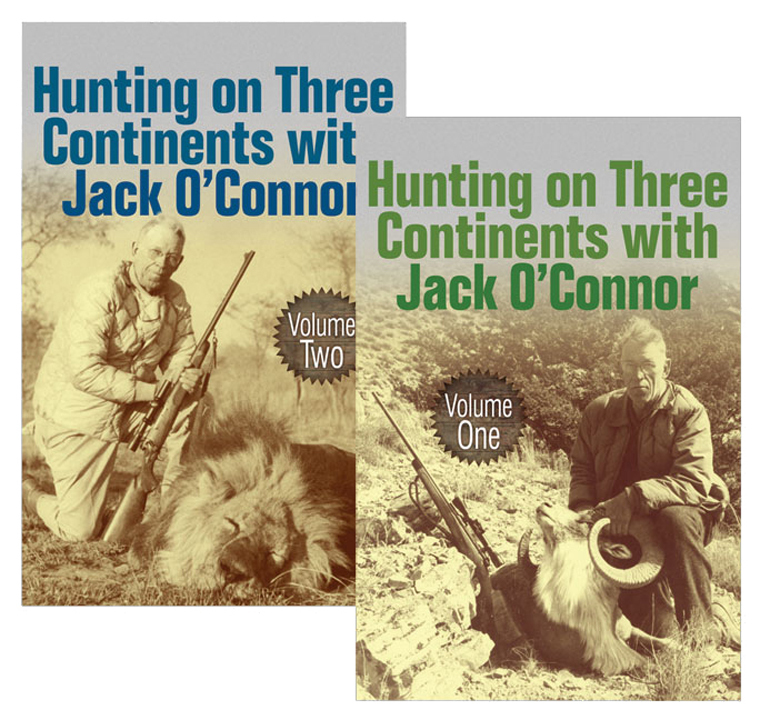 Safari Press published a collection of these stories back in the late 1980s entitled Hunting on Three Continents with JOC, and the book was a great success. Since many of our customers are JOC fans, we have often been asked over the years to reprint this book. Instead of doing a straight reprint, however, we decided to expand the scope of the first edition so that virtually all the stories JOC wrote for PHM would be included. The result? An all new, two-volume set that contains no less than fifty chapters. JOC started his international hunting career before the end of WW II, and he continued it for nearly four decades in what was the most active and prolific big-game hunting period the world ever saw, with more glamour game available in more countries than at any time before or after. JOC's stories will take the reader on hunts for tiger in India, grizzly in the Yukon, elk in the Rockies, and desert bighorn sheep in Sonora. While many other hunters came close to Jack O’Connor’s hunting exploits, nobody could write about all these places like O’Connor did. Whether it be firearms, his hunting dogs, riding a horse, or long-range shooting, all JOC’s stories were spiced and laced with interesting anecdotes of people he met, things that happened, and events he observed. He knew princes, millionaires, and heads of state, but his writing fascinated the average “Joe Doakes” (as O’Connor would say) more than anybody else. And with good reason—JOC simply had a way with words. Submit your review for "Hunting on Three Continents with Jack O'Connor"